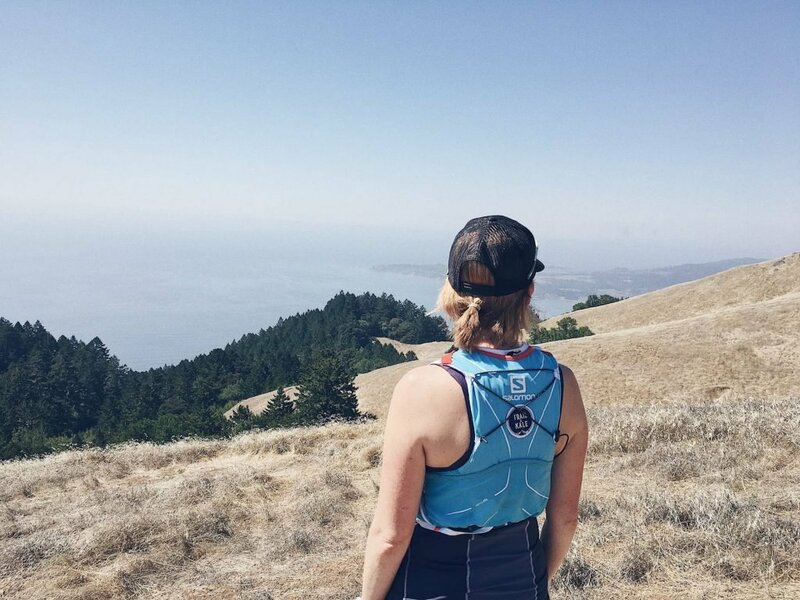 Trail Runner Lifestyle – what does it mean to LIVE CLEAN : RUN FREE? In short, to live clean means to us, to live simply. I’m not talking about being a ‘minimalist’ in the purest sense of the word, or living in a rustic mountain lodge with just a backpack of belongings and no electricity – although that would be an awesome experience for a certain period of time – it’s not for me long term! 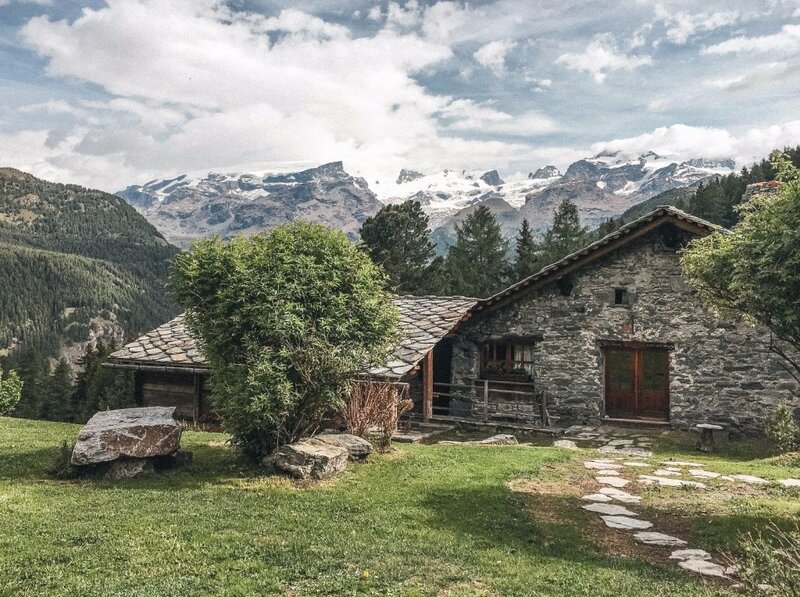 Gorgeous rustic mountain retreat in Italy’s Aosta Valley. What I am talking about is living a modern everyday professional lifestyle, but doing so with meaning, not becoming overwhelmed and distracted by owning and being responsible for a load of stuff. Not spending needlessly and buying more stuff and food that we need or could possibly want. 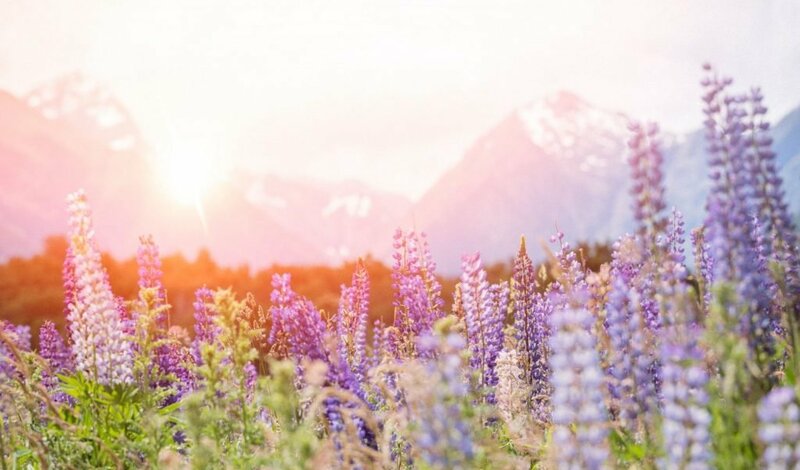 There’s enough to focus on in life that is actually important and worth the time and mental energy without needless consumerism, possessions, and waste. Living with less. Not to the extreme, just changing your attitude to shopping and going against the trend of accumulating ‘stuff’. Trail running has helped me get to this mindset in many ways. Ah, that feeling of freedom! Just us in the mountains, with a few essentials and Mother Nature for company! One of the simplest ways it has done so is that now I am far more likely to spend most of my Saturday on a long run or adventure than to spend it wandering around a shopping centre. In fact, I have to be pretty desperate to want to buy something to face going into the city centre on a weekend full stop. Keep what you use regularly, truly need, or items that bring you joy. If something isn’t useful or bringing you joy (like a gorgeous painting that brings back a great memory) then do you really need it? Anything else is most likely to be just clutter that needs to be stored / cleaned / maintained. For this reason, I regularly clear out my running kit wardrobe, and give what I no longer love or use to charity. Another tip is to do more of your shopping online, so you can just search for what you are looking for and reduce the likelyhood of getting distracted by a nice shop window. Whether consciously or not, ‘stuff’ also clutters your mind as well as your home. Cleaning your home is easier with less stuff to move, and less furniture to store it in. This is a big win for me, as I’d rather spend less time cleaning if I can help it, but I do love having a clean home (again, this is better for my mind than living in a messy one). Insuring your belongings and moving home become a lot easier and potentially less costly, too. Moving abroad really helped us reflect on what ‘stuff’ we really needed. If you spend less money on lower-value ‘stuff’, then this means the things you really do need can be invested in. You can buy the quality version that lasts, and enjoy using it while not having to replace things as often as perhaps a cheaper alternative would need to be. This also means you’re potentially generating less waste in doing so. But I don’t have much stuff? I never considered myself to have much ‘stuff’. Alastair and I thought we were already pretty low-volume when it came to possessions. But it turns out we were wrong! We took a cold, hard look at what we had in the draws and cupboards of every room in the house, plus the garage contents, and it turns out we have a lot that we don’t use. I think it’s all relative. You can always reduce the amount of stuff you need and have, and be happier for it – or at least less distracted. What does this have to do with the trail runner lifestyle? One of the major benefits of trail running, to me, is being able to get out and move in nature, clearing your mind: focusing on the movement and being in the moment. So, it seems very counterproductive to go out and have this lovely time on the trails, only to return to a home stuffed with things that occupy precious space and serve no useful purpose. 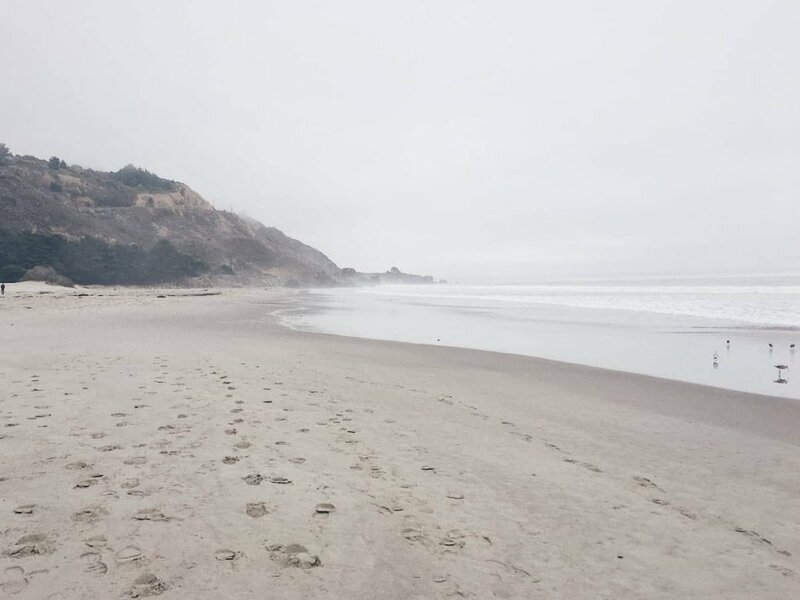 Simple beauty – an empty, quiet beach on which to gather your thoughts and relax. These days, one of the things we increasingly notice is the ‘overwhelm’ factor. It is a big source of everyday distraction and frustration for us, that we are seeking to remove from our daily lives. Trail running, in its simplicity, is the antithesis of ‘overwhelm’ – a sort of remedy for life. What is ‘overwhelm’? Having too much choice. How many times have you been to the supermarket and spent far too long trying to choose the best pasta sauce for your weekday dinner? With more than 40 varieties on the shelves, how do you know which is the best in terms of ingredients, nutritional qualities, or taste? I was over the moon when a local Co-op shop opened near our home. We shop there most of the time – it stocks local produce and offers limited choice of all the other basics – perfect! Now I just visit the supermarket if buying niche or specific ingredients for a particular meal I am planning. It works the same with clothes. Looking into a wardrobe and wondering what to wear, or thinking you have ‘nothing to wear’? What a time-sucker! I’ve cut right back on clothes, and now own just a few items, that go with each other and which I love to put on. I want to get to the point where the only decisions I have to make in my personal life are the important ones that justify the time and mental energy spent in making them. Like what direction am I going to take my career in? What trail will I choose for this weekend’s long run? Decisions that are designed to enhance life, either fundamentally or superficially, rather than distract my mind from what really matters to me. I feel the most ‘me’ when I am in expansive, open spaces, where I can feel small and think big. I love expansive, open spaces, where I can feel small and think big. This is my perspective on how decluttering can help live a cleaner lifestyle. It has certainly helped us. 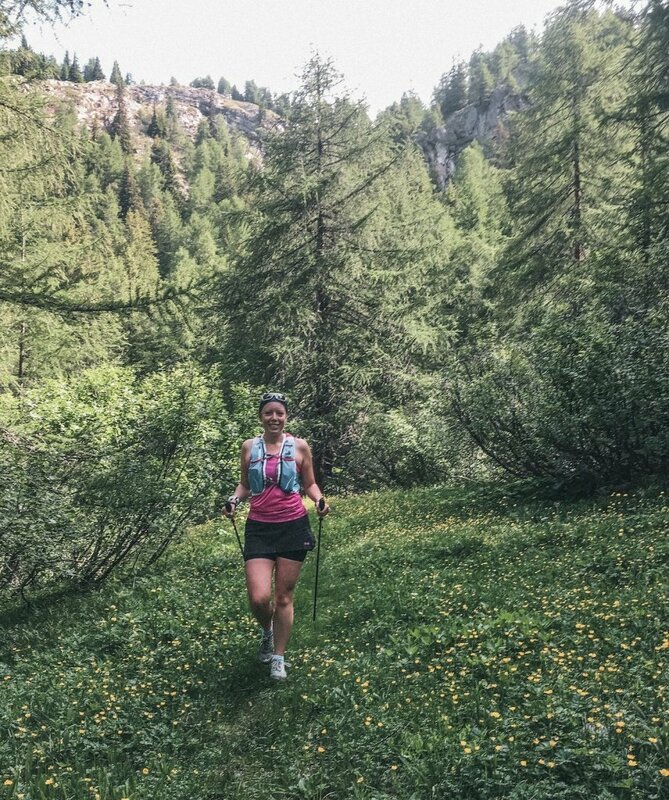 I’d love to hear your tips on living clean and how trail running has changed your outlook on life – share them in the comments below! See also: Trail Running and Mindfulness and The Benefits of Trail Running.